Many people who are interested in full-time university nursing programs would love to devote 100% of their energy to nursing school, but just can’t afford to stop working. Have you ever contemplated “How can I be a nurse when I can’t afford to quit my job?” How to get through nursing school and still work is a major question on the mind of prospective learners, and we have some tips to help those of you who need to stay working, or who need to find a job that better fits the schedule and demands of nursing programs. A key part of surviving nursing school while working is picking the right nursing school. Look for a program that is at least partly online. Online school work will give you the flexibility you need to work and still complete the program’s requirements. With nursing school, there will almost always have onsite requirements, but some of the didactic work can be completed online. Look for a school that will allow flexibility for work-school balance. Also, look for a school that offers remediation and will work with you if you’re falling behind. Large universities have thousands applying to their program, and they can have another recruit to fill your place if you fall even a step behind. Remember this: the more competitive a program is, the easier it will be for them to wash you out. If you’re struggling to afford nursing school, the last thing you need is a burden of student debt with no degree. Consider smaller schools like local community colleges, trade schools, and even smaller private schools like Nightingale. Which degree program is right for you? There are two main routes to becoming a registered nurse: an ADN Program or a BSN Program. Both programs will prepare you for the NCLEX-RN exam and if passed, will allow you to become a nurse. However, there are pros and cons to each one. Let’s take a look. Short program time. At Nightingale, the ADN Program is 20 months including prereqs. Cheaper. You spend less to get your RN. Bridge later. After you complete the ADN and start working, you can complete an RN-to-BSN program completely online. Fast-paced. 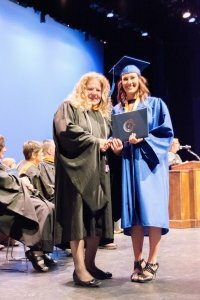 An accelerated nursing program will keep you on your toes, and can seem harder than a BSN program because of the amount of information you have to learn in a short amount of time. Condensed. There’s important information about patient care in a BSN Program that is not found in an associate program. More money at one time. Because the program is shorter, the tuition can get lumped into a large sum like monthly payments in a short amount of time, so you have to save or get a lot of student aid to help you. Easier entrance into the workforce. Many employers are starting to only hire BSN-prepared nurses even at entry level. More opportunities. With a BSN, you can move into other nursing specialties like flight nursing. Assurance that you’re providing the best care. You can know that you are providing the care your patients deserve. Paced. You can take the classes at a speed that is right for you. Easier to maintain a high GPA. 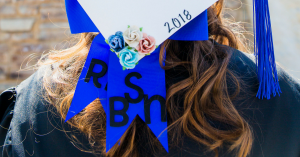 A BSN program offers twice the classes of an ASN, so if you struggle with one subject, it may help your grade be evened out if you have more classes. Takes longer to become an RN. If you need to start making money as fast as possible, the BSN program may not be the right fit. There are several jobs that pair well with nursing school. These jobs are at least partially flexible so you can rotate your days around any on-ground coursework that needs to be completed. Just as a warning, these jobs are not glamorous. The jobs that no one wants to do are the ones that are most often on the schedule you need! Becoming a CNA can help you gain experience in the medical field while allowing for the scheduling demands of nursing school. Working at a call center might be how you get through nursing school financially. Online work is also a bonus for those in nursing school, because it can be flexible. Search for jobs that allow telecommuting on YOUR TIME so that you can adjust as needed. The best way to find these types of jobs is to network with those who already trust you to be honest with your time. Do you have a family member who owns a business, or maybe someone from your church, or an old friend or classmate? Ask them if they have any needs for an online position like that. That’s an effective way to get your foot in the door. But don’t underestimate a simple job search. Many jobs have altered requirements to allow online remote work. Some job search engines will even ask if you are searching for an online position. Additionally, contract work such as photography or house cleaning can be great ways to earn extra cash. Think about what marketable skills you have, and drop off resumes. Part-time hourly work that you can perform on your own schedule is awesome if you can find it. Ask small businesses if you can spend just an hour a week organizing files for them, or running errands. There’s a fine line between part-time hourly work and as needed work. Be careful to avoid as needed or on-call positions, because you need a set schedule. Imagine having only one night before a test to study, and then you get called into work. Now your performance on the test is definitely going to take a hit. It’s best to avoid this type of work as you will not know the schedule. In conclusion, learners who want to work and attend a nursing school at the same time need to make their schoolwork a priority. It can be done, but it takes work and sacrifice. We know you can do it. FLAME! FORWARD!